We’ll use Artist table of MVC Music Store database. Assuming all names are unique and we have to include ArtistId also with Name as response of Web API action. 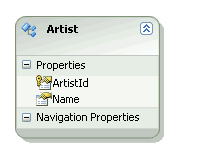 Here are the basic steps to create Web Api project and add entity data model for Artist table. If you want the result must be start with user entered keyword then use StartsWith instead of Contains. For simplicity, We’ll consume above action in same project. Delete existing Views > Home > Index.cshtml file and in HomeController.cs, Right click on Index action > Add View> uncheck all options > Add. Now first step is to add CSS and script files of jQuery, jQuery UI. On typing min two characters, Ajax request is made to call web api action, the response is converted in label:’…’,value:’… ‘ format (It’s the main tricky part) and list is displayed. 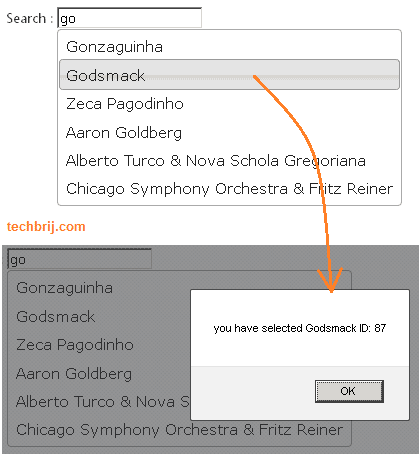 When you select any item, it is displayed with Id in alert box. But what do you think is the future of Microsoft .NET, as of now, it is losing out to other custom apps and to the specialized skill set(tools – SAP, SAS and other stuff)?? Awesome post with good explanation….